Our Society is a Branch of a national network of SPCAs in South Africa. We adhere to strict policies and protocols monitored by our National Council, the NSPCA, which is our umbrella body, based in Johannesburg. We are also part of a world wide network of SPCAs originally founded in Britain in the 19th Century. 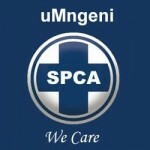 The uMngeni (formerly Howick) SPCA has been tackling the problems of neglect, abuse and cruelty to animals in the greater Howick District since its formation in 1968. Starting from scratch, this Society has grown slowly but surely over the years and, with the goodwill and support of animal lovers in the area, will continue to reach out to the ever increasing number of animals needing help far into the foreseeable future. Cruelty Investigations: Any report of cruelty, neglect or abuse of any animal will be fully investigated and we will not hesitate to prosecute if necessary. animals from our indigent communities. Outreach Clinics: We regularly take our services out to the communities in the far corners of our area. On these occasions we treat sick animals, bring back females for spaying and advise owners on all aspects of their animals' welfare. 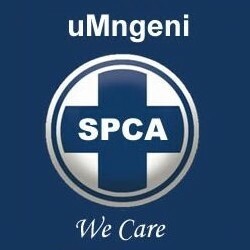 Small Animal Pound: We assist the uMngeni Municipality by dealing with all stray and abandoned dogs and cats within our joint area of jurisdiction. Re-homing Animals: We put up for adoption suitable unclaimed strays and relinquished pets. We inspect prospective new homes for suitability for the proposed animal and we also make courtesy calls to new owners to offer advice or assistance and to ensure that their new pet has settled in happily. Education: If prevention of cruelty is our goal then education is the route to take. We try to reach as many children as possible with the message of compassion and caring for all animals. We have a team of dedicated volunteers and staff members who visit schools and we encourage school visits and see for themselves what we do.